It’s been almost exactly two and a half years since I wandered into the jungles of Peru and sat with one of the most powerful plant-medicines known to man - Ayahuasca. I’d made a promise to my friends and family that I’d write a blog post those many years ago, but I assume I wasn’t ready, so I apologize to all those who looked forward to my writing; it’s difficult to put such an experience into words. You would think that I’d forget important details, but I remember everything like it was yesterday, even the journeys through the ceremony that Mama Aya took me on. This sort of experience never really leaves your mind. 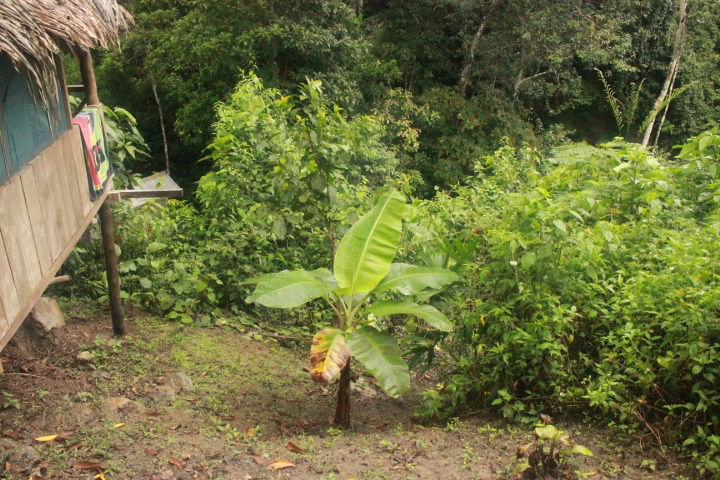 The first time I’d heard of Ayahuasca was when I’d started on my spiritual journey in 2013. I almost said, “when I got woke" but I surely wasn’t “woke" at the time. It was so intriguing and I’d never done any type of hallucinogenic drug before, but I was a full-time mom to a toddler and knew I wouldn’t be able to experience it for at least another 18 years. It was when my son Noah crossed over that I had an epiphany (really, it was the only thing that made sense at the time) that I was to go drink Ayahuasca. I’m not going to lie, as much as I denied it and still sort of deny it - because going into drinking Ayahuasca, or taking any hallucinogen, one shouldn’t have expectations of the outcome - my main hope was to see him again, to get personal proof that life continued after physical death. If you’re like me, you want to take the cheapest flight, but also be as comfortable as possible. So I chose to fly with Spirit Airlines, but I also chose seats with leg room. Regardless, it was a nightmare, because when my sister and I got to the airport (she wasn’t flying with me, just accompanying me) the line for the Spirit check-in was all the way to the other airline lines, so much so that it was difficult to tell which was the line for which. The line was also so long that I almost missed my flight, so I had to take my supposed-to-be checked bag as a carry-on and lost my 8-ounce jar of coconut oil, which was extremely necessary. That’s it for talking about my Spirit Airline nightmare, though I have more, just let this be a warning to you: it might be a cheap flight, but you’ll pay the difference in other ways. Choose wisely. By the time I finally got to Lima I was rightfully exhausted and it was the dead of the night. Despite the darkness, I was able to see the beauty of the city, the buildings, the landscape. Mind you, I don’t speak Spanish, and I needed a taxi to get to my hostel. So, I had to rely on my energy sensing abilities to assess the intentions of my potential driver, which isn’t as hard as you would think with a language barrier. It actually helps to have a language barrier, in my opinion, because you’re not muddying the energetic line with verbal communication. My hostel was quaint, simple, but lonely. I still hadn’t gotten used to not having my mini me with me near 24/7. Being there by myself, without him and without my family who’d been by my side everyday since the accident, the loneliness and the silence were extremely loud. It was a chance for me to allow that feeling to be accessed and healed, but I wouldn’t let it; I was scared that I would be consumed by it to the point of no return, so I tried to busy myself by taking pictures or doing other mindless tasks. 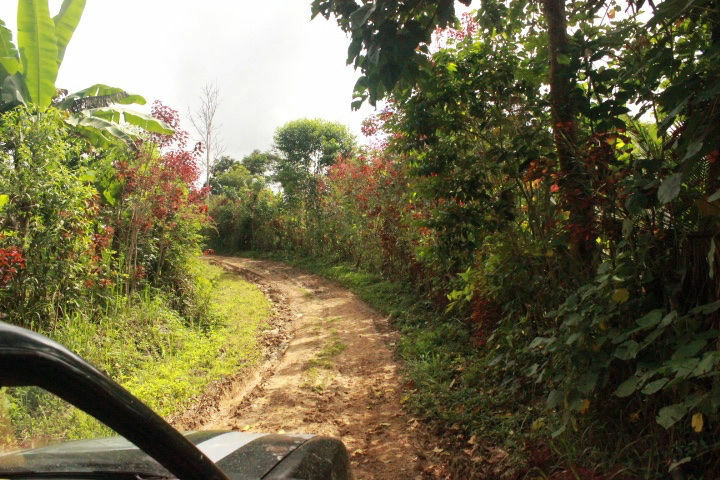 The day after I arrived in Lima I was to do an in-country flight to a city called Tarapoto, which was where I and the rest of my retreat group were to be picked up and taken to the retreat grounds. 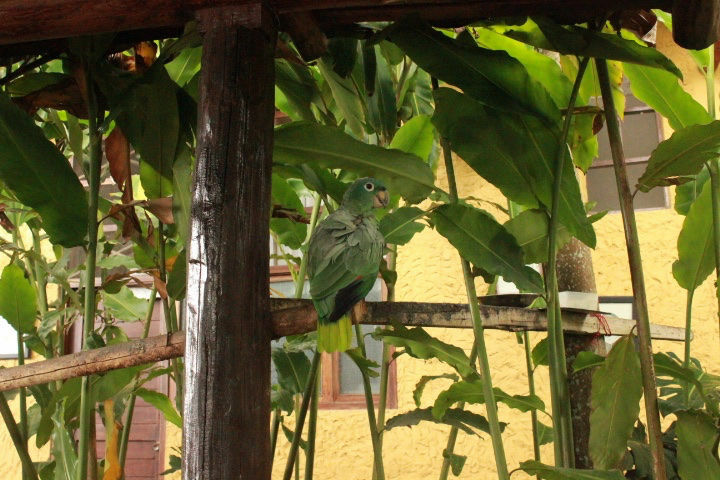 Tarapoto was sprinkled with luscious greenery, especially behind the airport. Tarapoto seemed huge, but wasn’t as mainstream as Lima. It was still beautiful though. It was a classic example of a third-world nation, with dirt roads, mototaxis, small shops lining the streets, and beautiful people. I loved the hostel that I stayed at there; the owners were extremely hospitable and kind, and they made all of the guests breakfast in the morning. Upon meeting up with my retreat group and our guide, I became nervous. This was it; this was what I’d been waiting for for 5 months since I’d signed up. Who were the people I’d be spending the next 10 days with? Who were our shamans? Were they as kind and self-aware as they made themselves out to be? Was it safe? Etc. As I walked into the hotel/restaurant that was our meeting place, I saw a few people who looked out of place and knew that I’d found my group. We shared some small talk, but I could tell that everyone was as nervous as I. Our guide and the co-owner of the retreat center finally made it and after packing our bags into a car and a truck, we made our trek to El Jardin de la Paz (The Garden of Peace). 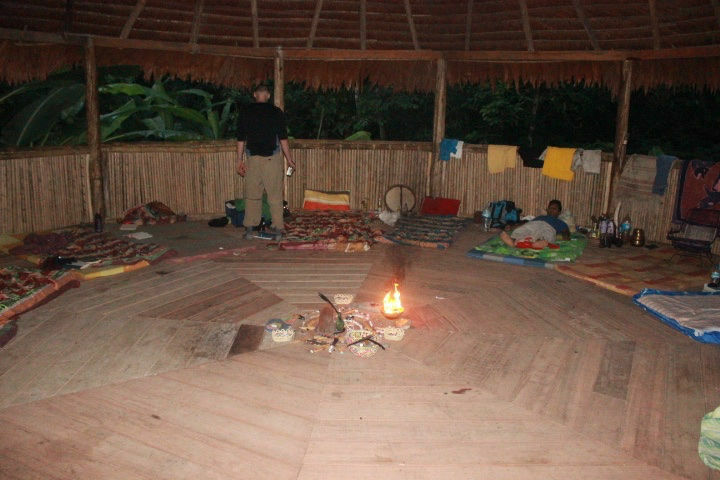 The very first thing we did once we arrived at EJP after dropping off our bags was a tobacco ceremony. This consisted of a shot of tobacco tea followed by drinking 4 liters of water. Yes, 4 whole liters of water. This was done so that we’d clear out our systems of residual toxins, physical and spiritual. It induced us all to vomit, as it happens when you drink 4 liters of water in a very small amount of the time. 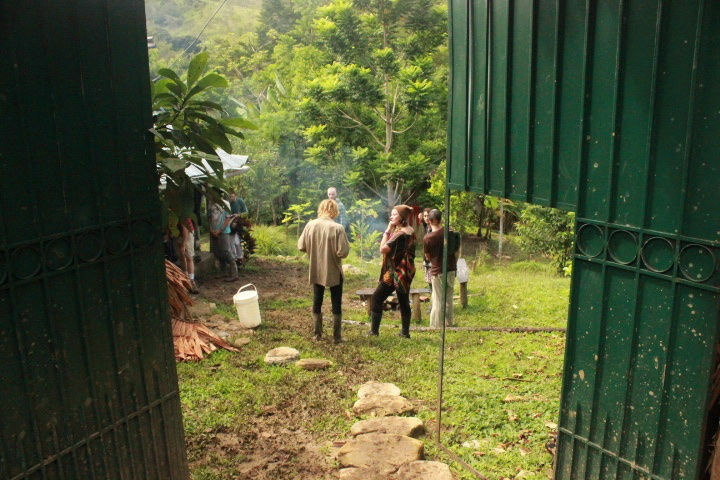 We talked a little bit about why each of us had come to Peru to seek out the experience of sitting with Mama Ayahuasca, and then we were sent to our respective homes for the duration of the retreat. I’m not going to detail every single ceremony, nor am I going to detail every aspect of a single ceremony; those experiences are highly sensitive and personal to me. I will, however, give a general overview. On ceremony days we only had two meals, opposed to our normal three meals a day. Our meals consisted of grains, cabbage, bread tree fruit, chia seeds, sometimes eggs, and other super healthy, but super bland foods. We weren’t allowed to have salt or sugar, as it would cause a bad reaction to the Ayahuasca. A few hours after our last meal and after the sun had gone down, we would meet up at the maloka, the big hut where the ceremonies would happen. If we brought white clothes, we were to arrive to the maloka wearing them. I remember being ridiculously nervous before my first ceremony, and the cool Amazon jungle night air didn’t help the anxious shivers. 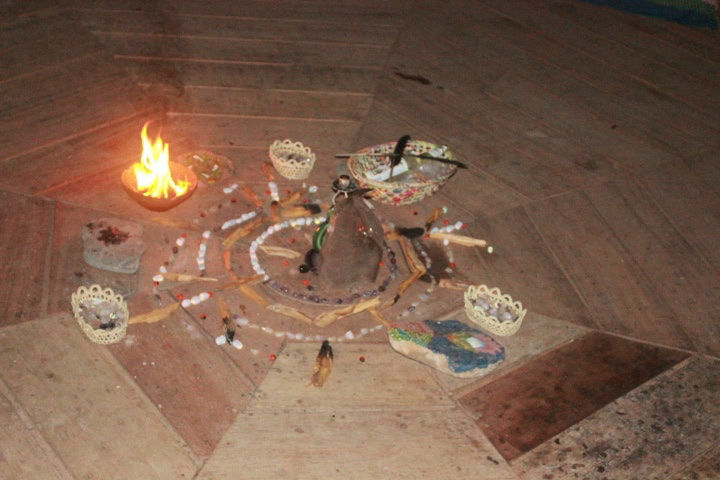 As everyone made their way to the maloka, the shamans prepped the space by smudging with burning sage and palo santo. They’d also set up a crystal grid in the middle of the maloka with other items such as feathers, wood, and precious things. Along the cirlcular wall were our mattresses and buckets. Once we were all in place we were sent through a series of explanations and expectations for the ceremony. 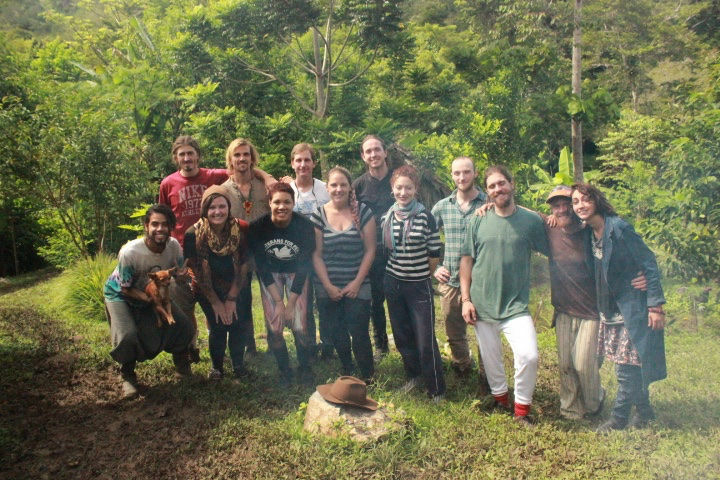 The shamans, Carlos and his brother Juan, then brought each one of us up individually to assess our energetic bodies. They blew mapacho (clean tobacco) smoke over each of us and did their shaman thing. Immediately after, we were handed a small, wooden cup with the Ayahuasca. It smelled sweet, very inviting, but the taste was absolutely horrendous. If you can imagine drinking the juice of tree bark mixed with a bitter, thick, sludgey, and condensed coffee, you might have an idea of what it tastes like. But even then, that description can not capture the awfulness. It made me want to vomit before I even went back to my mattress. Once everyone had gotten their share, we all went back to our mattresses and the candles were blown out. We sat or laid down in the darkness, each of us completely unaware of what Mama Ayahuasca had in store. The brew was not sitting well within me, and as soon as I felt the nausea gently kick in, the hallucinations began, and as soon as the hallucinations began, so did the shamans begin their songs, called icaros. They started off slowly and sweetly. Their voices and the rhythm of the icaros carried me through a series of visions, just geometric patterns that moved and changed behind my eyes. The colors were vivid oranges, hot pinks, bright yellows, deep purples, and electric greens. The geometric patterns turned into huge animals and weird landscapes that I’d never seen before. Imagine what a Lisa Frank movie might look like, and you’ll have a good idea of the visions I saw. Eventually the icaros picked up speed, and as they picked up speed, so did my nausea begin to intensify, but I didn’t want to vomit. But I felt as though if I didn’t vomit, I wouldn’t be able to journey and experience the world within myself. The sense of control I tried to keep on my reality prevented me from fully letting go and allowing Mama Ayahuasca to do her job. Eventually, I had no choice; I sat up and found my bucket and let it go. Others had been let go way before me, and I imagine their journeys were a lot less stressful as mine as I’d tried to hold on so hard. But letting go was the sweetest relief I’d ever felt. Once I vomited I laid back down to continue my journey. It was a bittersweet one, through my childhood to my adolescent years, issue after issue coming up for me. At some point I was too tired to continue trying to keep up with the journey; all I wanted was to fall asleep to the shamans’ beautiful voices. It was around 1 or 2 AM that they’d finally slowed all the way down and we were left in the silent darkness once again, save for the sounds of the jungle - the distant rushing water of the river, the animals, and the insects. Candles were lit and we all sat up. My mask was off; I didn’t want to talk, I didn’t want to be bubbly or inviting, I didn’t want to be a part of the group discussion, but I forced myself to. All I wanted was to go to sleep. Once we all gave our overall lesson from the first ceremony, we were allowed to sleep, finally. As I mentioned before, I’d hoped that I could catch a glimpse of something, anything, that could make me aware of the world my son now lived in. My first two ceremonies didn’t offer me anything. By the third, I’d given up that hope. For some reason, and I believe it was because I was starting my period and there was some kind of barrier up that prevented it, but the Ayahuasca didn’t have much of an effect on me. I remember barely hallucinating at all that night and then just laying in the dark, attempting to drift off to sleep. While almost reaching sweet sleep, I felt a cold drop of water hit my forehead. It was a single drop, and it hit me hard. I rubbed my forehead in confusion, expecting to feel wetness there, sitting up to assess the situation. I sniffed my hand, thinking maybe one of the shamans had come to dab some Florida water on me, but it smelled like nothing and there was no wetness. I lay back down, trying to let it go, but I was awake and couldn’t seem to fall back to sleep. A few minutes later, another drop hit my forehead, this time a vision of Noah popped up clear as day in my mind. It was a picture of him that I took when we went Charleston, South Carolina. 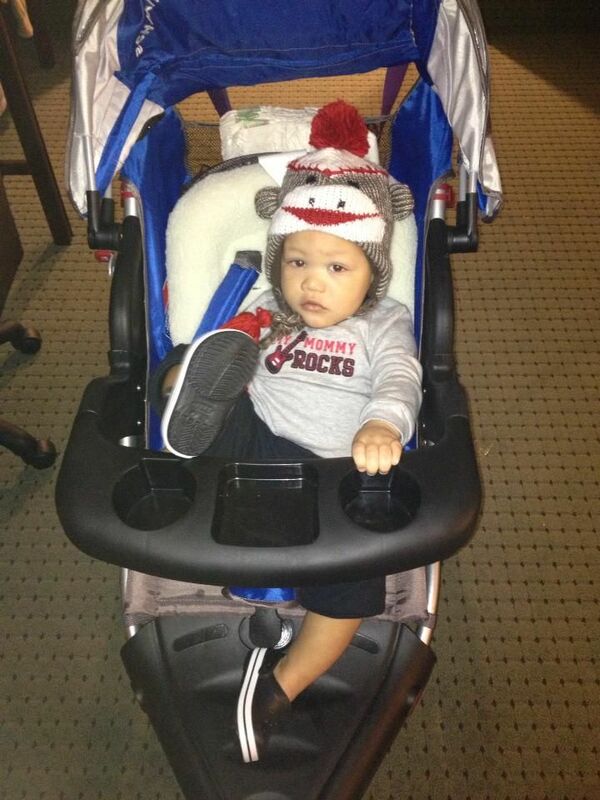 In the picture he had on his little monkey hat and he looked up at me sweetly. Immediately, I felt his presence with me, but only for a brief moment. There was no doubt in my mind that my son had come to reassure me that he was somehow still here, no matter how much I will probably never understand it in this form. Instead of sadness over missing him, I felt relief and gratitude that he would allow me to feel his love in a way that I could only dream of. It was then that I decided to stop allowing those skeptics and doubters to try to convince me that life ends after death. At a proper retreat of any sort, whether it be a meditation retreat, an Ayahuasca retreat, or what have you, it’s important to experience solitude. We don’t seek out such profound experiences to socialize; we need to go deep within ourselves to understand what comes out of the journeys via Ayahuasca and somehow weave the experiences into our current understandings of ourselves and our realities. The only way to do that is to be separate from each other, and so we were. Most of us were given our own individual tambos, (huts), where we could meditate and spend time with ourselves. I spent my time either reading, writing in my journal, sleeping, or bawling my eyes out. The only other time I can remember spending so much time alone was when I lived in Africa and would venture out on the island by myself and just enjoy existence. It was a time in my life when I had zero cares, but in Peru it was different. It felt as though I had the weight of the world on my heart and my shoulders. There was a constant tugging within me that felt the need to control everything, and it wasn’t a good feeling. Needless to say, that feeling stayed with me and I felt disappointed with myself that I wasn’t somehow cured of it. 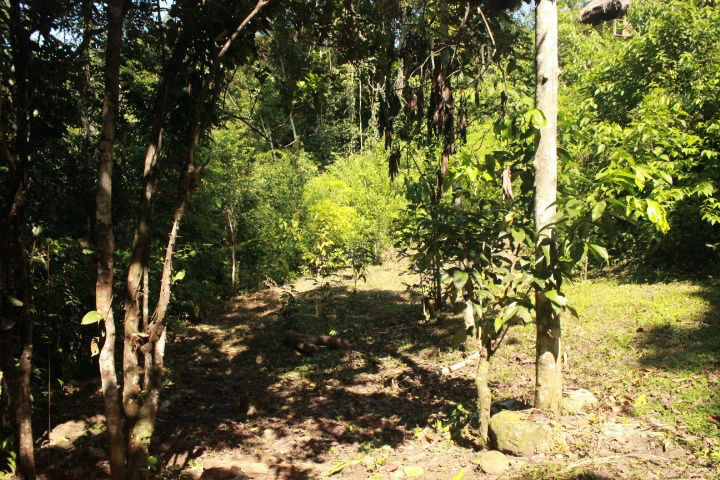 The special thing about El Jardin de la Paz is that they don’t just focus on the Ayahuasca plant medicine; they use a variety of medicines to help us. The morning after our first ceremony we were given a drink made from the mucura plant, which was like drinking fire. It tasted gross and caused our insides to feel as though someone had lit a flame in our stomachs. It was one of the most uncomfortable drinks I’d ever willingly drank. But it has so many benefits, those few minutes of discomfort were worth it. In addition to the mucura, remember that little meeting with the shaman prior to the ceremony? Well, they recommended the best plant medicines for us based on their findings, so every morning we were given our respective plant medicine to drink. At the end of the retreat, we were allowed to have fruits, and so we ate bananas that had seeds in them, which was so weird to me. Everyone was more social and somewhat relieved that it was over. As much as I wanted to return to civilization that I understood, I also didn’t want to leave Peru. Despite the madness that I’d experienced through my Ayahuasca journey, I felt a connection to the land and the people. I left the retreat grounds a different person. Following the retreat I stayed in Tarapoto for about 4 or 5 more days. We were given the suggestion to stay around for a few days before returning the hustle and bustle of our normal lives, and so I did. My mask was back on by then, and I socialized despite my sometimes painful social anxiety. I really don’t know what moved me to write this at this time. Maybe because I’ve been having lingering desires to return to Peru to sit with Mama Ayahuasca again, maybe because I miss the solitude of solitary traveling, maybe I just miss the country. Either way, I put it in the universe to return to Tarapoto and sit with my favorite plant medicine again in 2018. These past few years since my first sitting have been some interesting ones. So much has changed, including me, and it feels as though another huge spiritual overhaul is getting ready to happen. What I’ve learned is to let it and not to block the flow of our natural, birth-right abundance and growth.